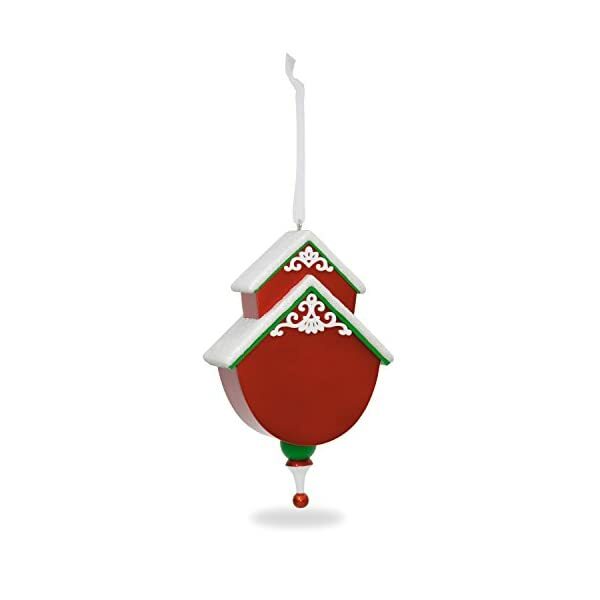 The 2nd ornament in the Beautiful Birdhouse series features a delightfully festive design. 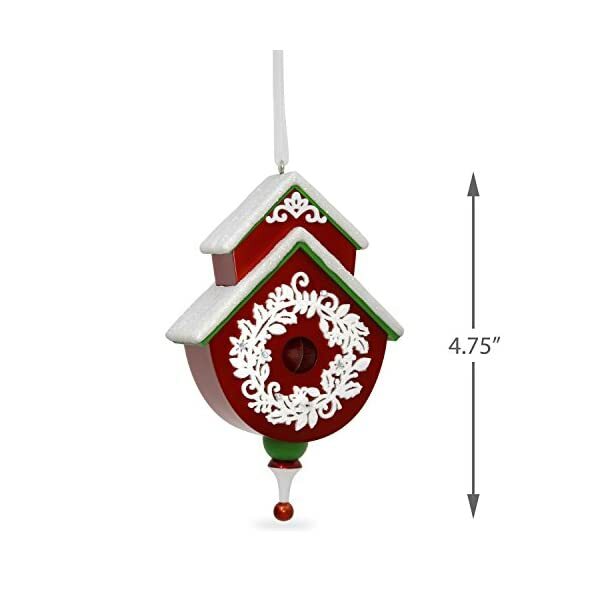 The birdhouse is painted red with green trim and decorated with a white wreath design. Snow tops the roof of the birdhouse to complete the wintry look. Festive and collectible, Hallmark Keepsake Ornaments come ready to give in a seasonal holiday gift box. The box can also be used for ornament storage. 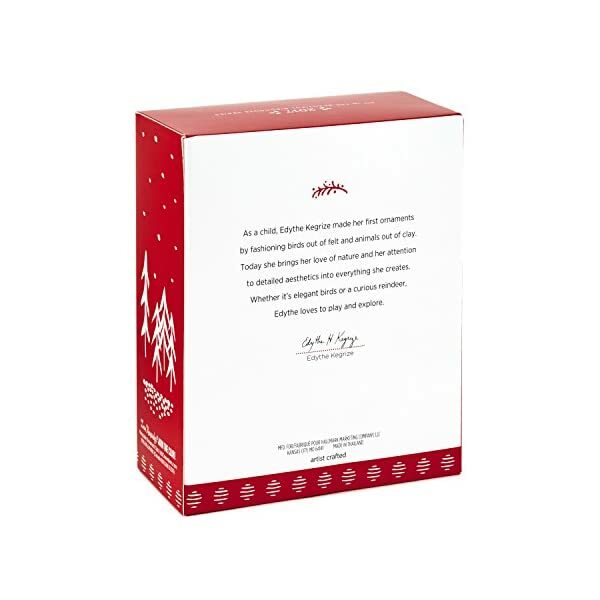 This Hallmark Keepsake Ornament measures 3 x 4.7 x 1.4 inches and comes in a 4 x 5 x 2 gift box. Ornament is made of plastic. Designed by Edythe Kegrize. Each piece includes one 2017 Red and Green Beautiful Birdhouse Christmas Ornament in a gift-ready box. From preserving precious memories to commemorating special milestones, there’s a Keepsake Ornament for everyone on your list. Hallmark has been your family-owned creator of greeting cards, gifts, gift wrap and more for over 100 years. We take deep pride in helping individuals connect in just the right way. This Hallmark original Keepsake Ornament features unparalleled artistry and exceptional detail. The ornament is lead-free and made for years of celebrations. Beautiful Birdhouse Series #2. 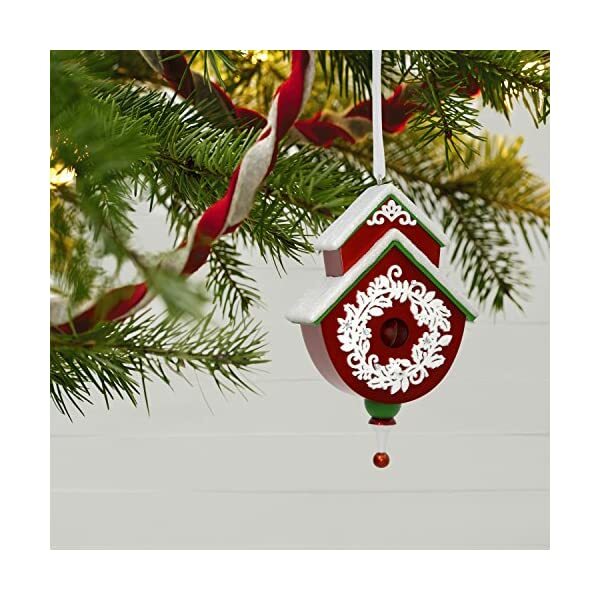 Christmas tree ornament features a miniature red birdhouse with green trim, white floral wreath design and snow-topped roof. Festive and collectible, Hallmark Keepsake Ornaments come ready to give in a seasonal holiday gift box. The box can also be used for ornament storage. 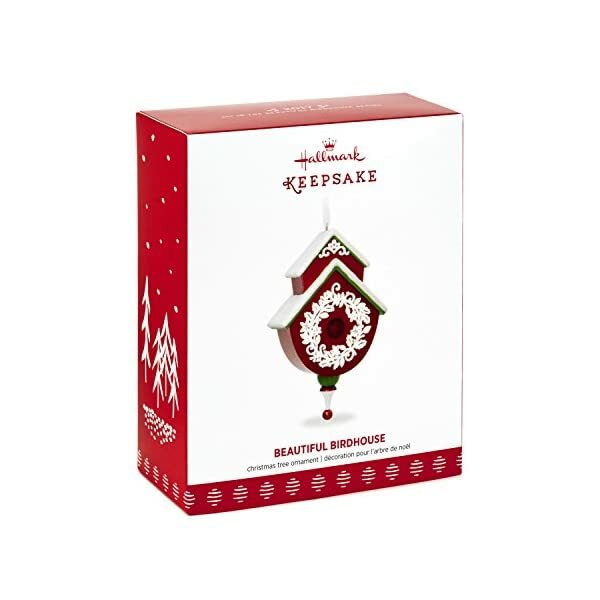 This Hallmark Keepsake Ornament measures 3 x 4.7 x 1.4 inches and comes in a 4 x 5 x 2 gift box. Ornament is made of plastic. Designed by Edythe Kegrize. Each piece includes one 2017 Red and Green Beautiful Birdhouse Christmas Ornament in a gift-ready box. ★ EXPERIENCE ALL THE BEAUTY: You'll love the intricate detailing on this solar garden owl ornament, designed to wow everyone during the day. And when night sets in, it emits a lovely warm amber glow that will stand out in your compound and take LED accent lighting to breathtaking levels. 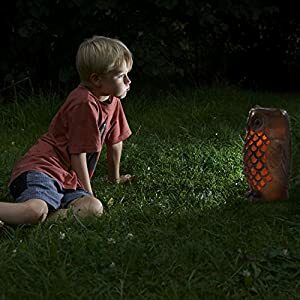 ★ NO MORE POWER BILLS: This garden solar white owl light is 100% solar powered! So that means zero power bills. And zero hassle of running power cables outdoors. It is fitted with a 300mAh NiMH battery, one of the highest capacities in the market, offering up to 8 hours of operation. ★ STRESS FREE OPERATION: You can just kick back, relax, and let technology do all the work! 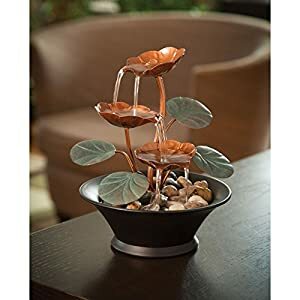 An in-built photocell automatically turns the garden accent statue on at dusk and off at dawn, unlike manually operated accent lights that place the burden of operating it completely on you. Dimension: 18″L x 16″W x 23″H, Weight: 13.86 lbs. 419 queries in 1.478 seconds.